Pre-implant surgery refers to procedures performed prior to the placement of dental implants. This procedure could be related to the jawbone or gingiva. A proper stability of the dental implant over time requires bone vascularization around the implant of at least 1 mm. This is why in some cases, pre-implant surgery, the dental surgeon must adjust the bone volume before placing the implant. 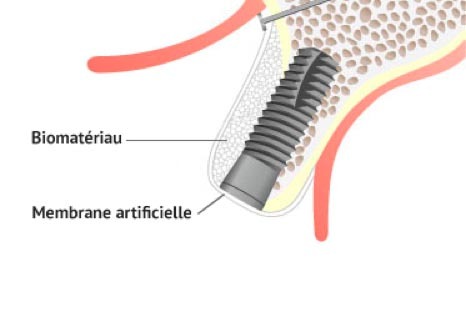 This is called guided bone regeneration or bone graft. The procedure is performed under local anesthesia with very strict asepsis conditions in the operating room. The graft consolidation period ranges from 4 to 8 months before the implants can be placed. 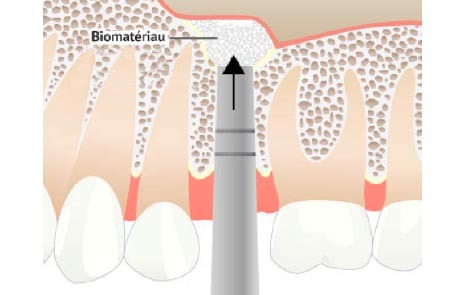 However, in certain cases, the implant is put in place at the same time as the graft. 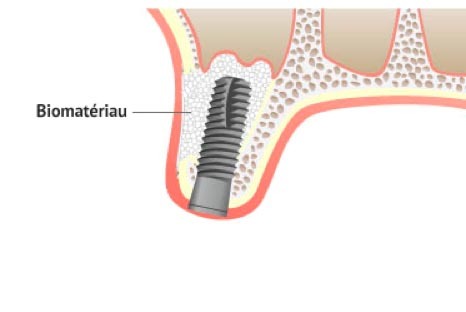 Two types of bone grafting can be performed. Performed on the maxilla (upper jaw) or mandible (lower jaw), the graft is placed where the bone width is insufficient to host the implant. Today, new techniques of guided bone regeneration make it possible to avoid autogenous bone samples (chin bone). This is a synthetic bone mixed with the patient’s blood and maintained by a biodegradable membrane. Performed in the posterior maxillary area, the graft is placed in the sinus cavity to restore a sufficient bone height to the upper jaw. This filling is done with resorbable regeneration biomaterial. Sinus lift technique: The injection of biomaterial via lateral approach. Summers technique: The injection of biomaterial via crestal approach. Mucogingival surgery is sometimes necessary to prevent a potential infection around the implant. The aim is to thicken the volume of the gum around it.